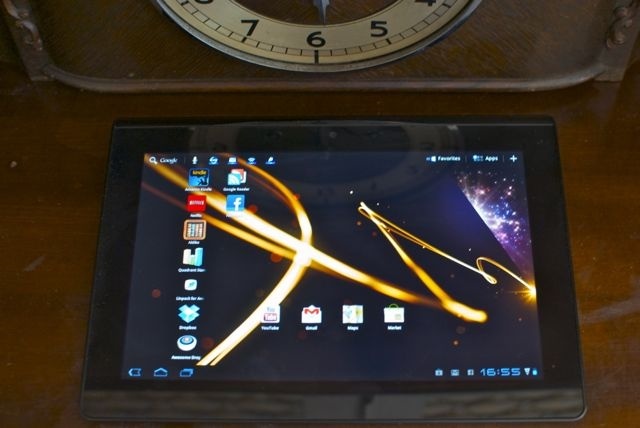 The Sony Tablet S does things different for Android tablets, but does it do them differently enough? One of the first things you’ll notice about the Sony Tablet S is its design. It’s not flat, but a wedge that fits comfortably into the hand, like a magazine with its cover folded back on a hot summer day. 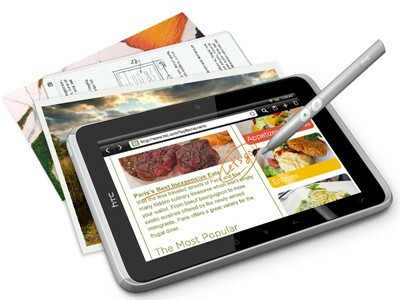 The Tablet S looks wholly unlike any other tablet on the market. It’s something original, something that instead of simply trying to be an iPad knock-off has its own distinct design language. And it’s without a doubt the best thing about the Sony Tablet S. It’s just a shame that this brave and wonderful sense of identity in a sea of iPad clones is only skin deep. 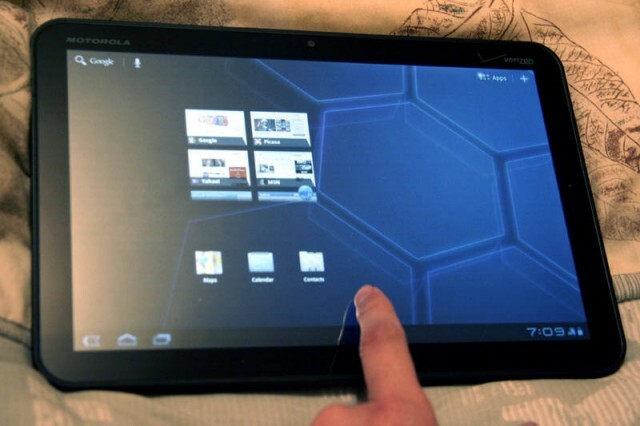 Should IT Departments Even Bother To Consider Android Tablets At This Point? Could you tell the difference if the displays were turned off? Over the past two years, the Internet has been flooded with stories about the next iPad-killer. The iPad-killing hype has been applied to the Cisco Cius, Motorola Xoom, BlackBerry PlayBook, HP Touch Pad, and Galaxy Tab just to name a few. 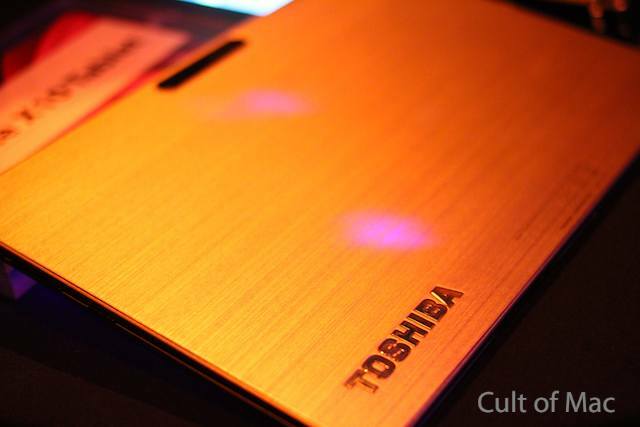 Several of these products were specifically hyped at being business tablets – alternatives to the iPad in the workplace. At the end of the day, however, the iPad still rules the tablet space in general and the business tablet in particular. Despite being a “consumer” device, the business tablet market is really the business iPad market. The latest statistic to drive this point home is that, during the new iPad launch, Apple sold more iPads in one weekend during than one quarter of Android tablets ever sold. Sales figures like that pose a question for IT departments – Is there a point to developing support models for Android tablets? 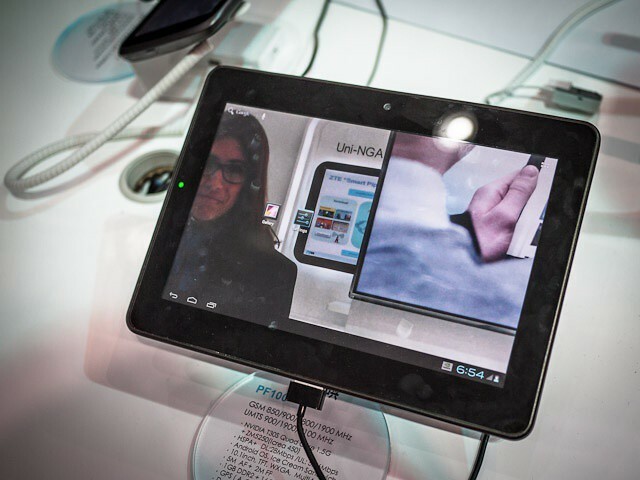 BARCELONA, MOBILE WORLD CONGRESS 2012 — One of the big stories at this year’s Mobile World Congress is Android tablets. If last year saw the things popping out like maggots from a rotting wound, this year they are skittering across the floor like a carpet of startled cockroaches. And like cockroaches, they all look pretty much the same. So let’s take a look at a couple of them: ZTE’s PF100 and T98. Laaaaaaaaaaadies and Gentlemen, welcome to Friday Night Fights, a new series of weekly deathmatches between two no-mercy brawlers who will fight to the death — or at least agree to disagree — about which is better: Apple or Google, iOS or Android? After this week’s topic, someone’s going to be spitting teeth. Our question: Which is better? Android’s three virtual buttons or iOS’s physical home button? In one corner, we have the 900 pound gorilla, Cult of Mac; in the opposite corner, wearing the green trunks, we have the plucky upstart, Cult of Android! Place your bets, gentlemen! This is going be a bloody one. One of the things that really stands out using an iPhone is just how smooth it feels compared to using Android. Where as Android is laggy, with a measurable interim between when you touch the screen and when the OS responds, iOS almost seems to anticipate what you want to do before your finger touches the display. How has Apple managed this incredible feat? A better question might be: “How has Google managed to screw up Android’s multitouch so much?” According to Andrew Munn — a software engineering student and ex-Google intern — Android is so messed up that Google might never be able to match an iPhone or iPad’s performance. Ouch! Remember when Samsung announced that their then-upcoming Galaxy Tab 10.1 Honeycomb tablet would be a smidge thinner than the iPad 2? 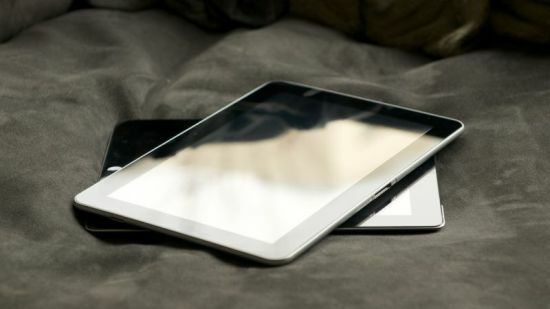 And remember when someone actually looked at the Galaxy Tab 10.1 prototypeand found out it was actually thicker than the iPad 2? Confusing, right? But it’s about to get even more confusing: while the Galaxy Tab 10.1 is just a hair thinner than the iPad 2 right now, Samsung will likely be forced to make it thicker than the iPad 2 in order to get around supply shortages. 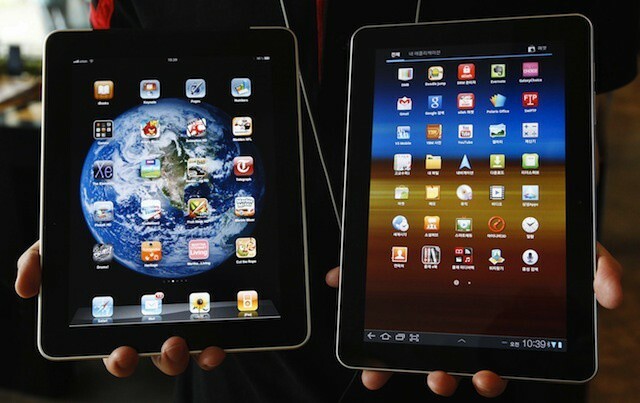 The Galaxy Tab 10.1 will soon be both thicker and thinner than the iPad 2 at the same time!